France waived millions of euros in taxes for a company owned by an Indian businessman Anil Ambani four years ago as the two countries were negotiating a military jet deal, French newspaper Le Monde reported Saturday. India denied any link between the tax exemption and the 8.7 billion euro fighter jet deal. 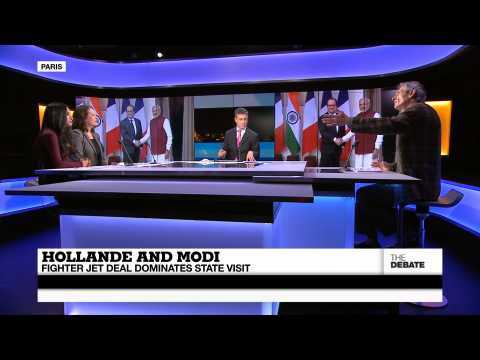 FRANCE 24's Mandakini Gahlot has the latest on the scandal and its reverberations as India's election gets underway. 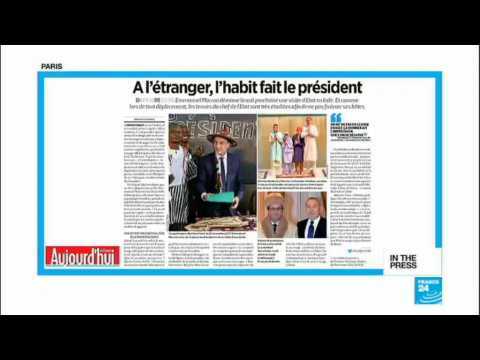 FRENCH PAPERS - Friday, March 9, 2018 : The French president sets off on a four-day trip to India where he hopes to sign juicy business deals, charm the youth, and see the sights. Le Parisian has another goal for Macron: not to make a fool of himself with extravagant fashion choices à la Canadian Prime Minister Justin Trudeau. And as a big tattoo festival kicks off in Paris we learn that France 24's Richelle Harrison-Plesse has the same tattoo as Winston Churchill. A top U.S. Air Force official on Sunday urged the U.S. government to speed up its consideration of long-standing bids from Middle Eastern nations for fighter jets. She said the prospective buyers Qatar, Kuwait and Bahrain are key U.S. allies in the Gulf. Air Force Deputy Undersecretary Heidi Grant said she was trying to reassure officials in those countries that Washington's delays would not affect their air force-to-air force alliance. Grant told Reuters in an interview that she would like to see a decision soon. Grant said she "absolutely" saw growing frustration among officials in the three countries, which have asked to buy a variety of U.S. fighter planes. How good of a traveling salesman is François Hollande? On a state visit to India, the French president finally signing a provisional deal to sell 36 Rafale fighter jets, but the two sides have yet to agree on financing. Is India making the most of its 7.5% growth boom? Just how much is the sale of military hardware a measure of success for both men? What notes can they trade when it comes to terror attacks and stability in the region? And will it mean a more active India on the world stage?